Let’s be honest, weddings are expensive. You can’t invite every man and his dog. 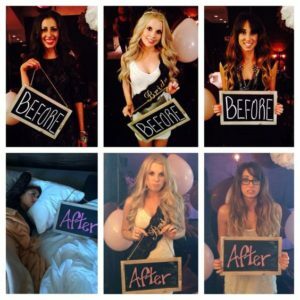 We see a lot of brides inviting just a few close friends to their wedding and instead having a big celebration with their wider friends circle at their hens night. The idea of a hens night is the group is there to celebrate you and your impending nuptials! Choose an activity or two that get people chatting and go from there. Everyone will be okay! Can it be as simple as: who do I want there? Yes. It can. Often each guest pays their own way in lieu of gifts, so cost is no concern. Invite who you want, and as many people as you want!